These stylish boots will make a great addition to your little one's Fall wardrobe. Velcro closure allows for a secure fit and easy on and off. 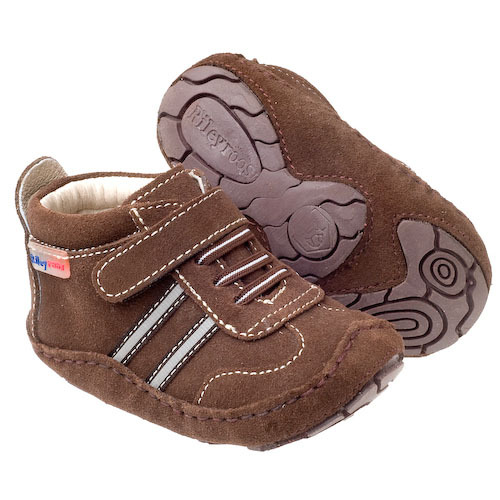 Designed to imitate barefoot walking, the sole curls above little toes to provide leverage as little ones make their natural gravitation from sitting to crawling to walking.